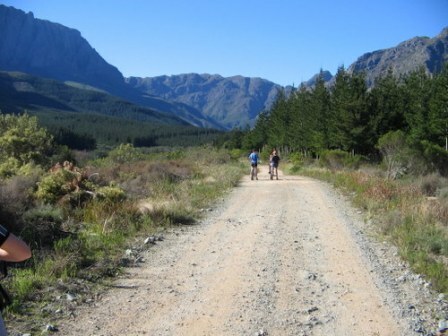 This 9800 ha reserve includes the Jonkershoek mountains and portions of the upper Jonkershoek valley. These mountains form part of the larger Boland mountain range where the Eerste, Berg, Lourens and Riviersonderend rivers have their various sources. Only the Eerste River flows through the Jonkershoek valley. The lower reaches of the valley are a well-known wine-producing area. 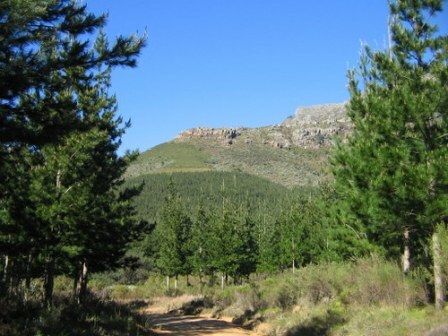 The rugged terrain in the Jonkershoek Nature reserve makes it ideal for hiking and you'll find hiking trails of varying degrees of difficulty and length leading up the mountain slopes. 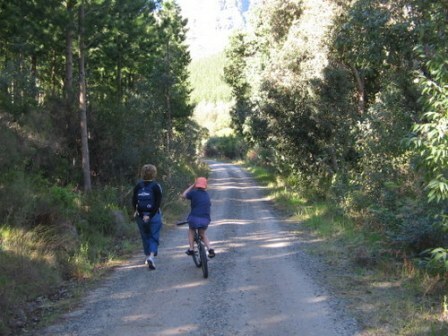 A 10km circular road makes this an ideal place for mountain biking and easy walking. 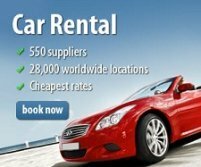 The more adventurous can tackle one of the single-track mountain bike routes. The mountainous topography has a significant effect on the rainfall, which is of the highest in South Africa. Hikers should note that at higher altitudes the weather conditions may be quite different from lower in the valley and could change rapidly, making it extremely dangerous. 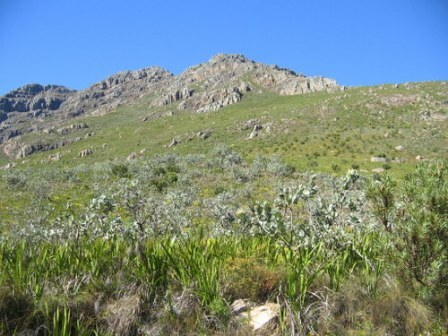 The natural vegetation of the Jonkershoek area is mainly mountain fynbos. More than 1100 plant species are known to occur, of which a number are rare and/or endemic to the area. Distinctive species are Protea repens, P. neriifolia, mountain cypress as well as various ericas and restios. 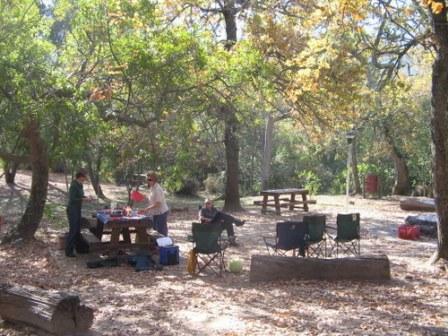 Several relic forest communities occur in narrow, moist kloofs where they are relatively sheltered from fire. Oak trees, although not indigenous, have been allowed to remain in Assegaaibosch because of their special historical value. Mammals found in the reserve include leopard, honey badger, baboon, klipspringer and mongoose, but most are shy and seldom seen. Large raptors such as black eagle, the occasional fish eagle and spotted eagle owl occur, while kingfishers and typical fynbos birds - the sugarbird, orangebreasted sunbird and protea seed-eater - are more abundant. On warm days rock agama lizards can be seen basking on rocks. Berg adder, puff adder, boomslang and Cape cobra are fairly common and hikers should be alert! This small reserve has two hiking routes: a short 3 km walk and a longer 5,5 km trail. 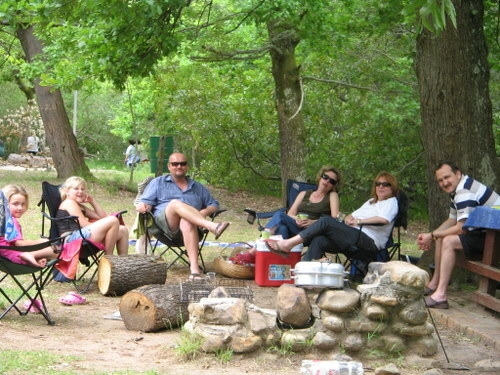 Parking, picnic and braai area, and toilet facilities are provided. Return from Jonkershoek Nature Reserve page to Homepage.